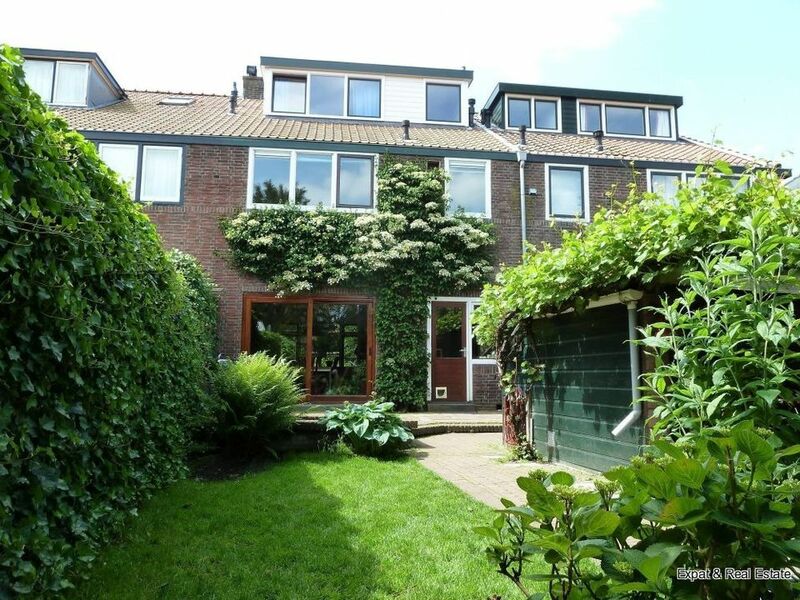 VERY ATTRACTIVE FAMILY HOUSE of 160 m2 and with sunny back garden of no less than 15 meter deep with freestanding wooden shed and back entrance. There is also a luxury kitchen with all appliances, 5 bedrooms and 2 modern bathrooms. The house is very well maintained and there will be a number of works before the tenant will make his entrance: outdoor frames will be painted white, walls inside will be painted, entire first floor will have new wooden parquet flooring, pond will be removed from garden and grass will be extended. In short, the home will be delivered TURN KEY. The property is ideally located in very nice and green area. In less than a 5-minute walk you are in the lively centre of Wassenaar where you can find all shops for the daily needs. Also you can find here the nice terraces and restaurants. The American school can be reached within a 10 minute bicycle ride. Conveniently located to all exit roads and good parking (public road, but always enough space). Entrance, tour portal, hall with fixed closet, modern toilet with sink, spacious living room with a fireplace and sliding doors to the back garden. Closed modern kitchen equipped with fridge, freezer, dishwasher, oven, microwave, gas hob, extractor fan and access to the garden. Landing, 3 bedrooms. The 2 large bedrooms have fixed wardrobes. Modern bathroom with bath, separate shower, double washbasin and design radiator. Large landing, 2 large bedrooms, 2nd bathroom with shower and washbasin.